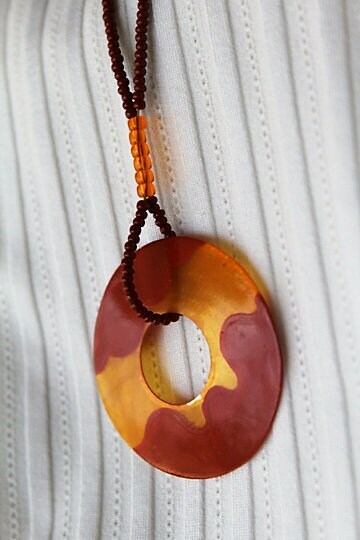 This light-weight Capiz Shell donut necklace is a beautiful marriage between summer oranges & yellows, and warm reds and browns of the fall to come. 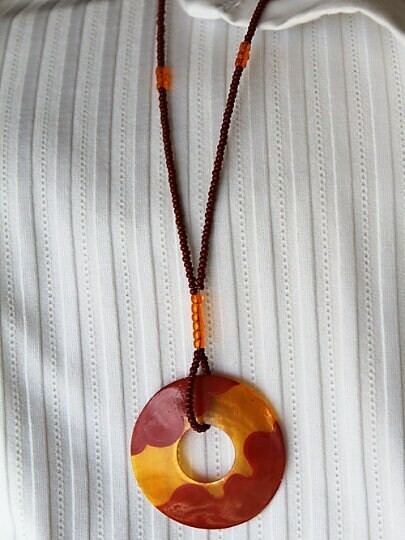 ~This necklace measures approximately 17.5" without donut. The donut focal piece is approximately 1.5 inches in diameter. 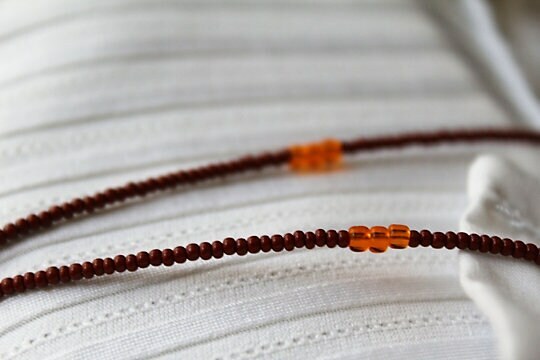 This necklace is absolutely beautiful! Its much nicer in person than in the picture. It shipped quickly and was packaged for gift giving. Thank you so much!